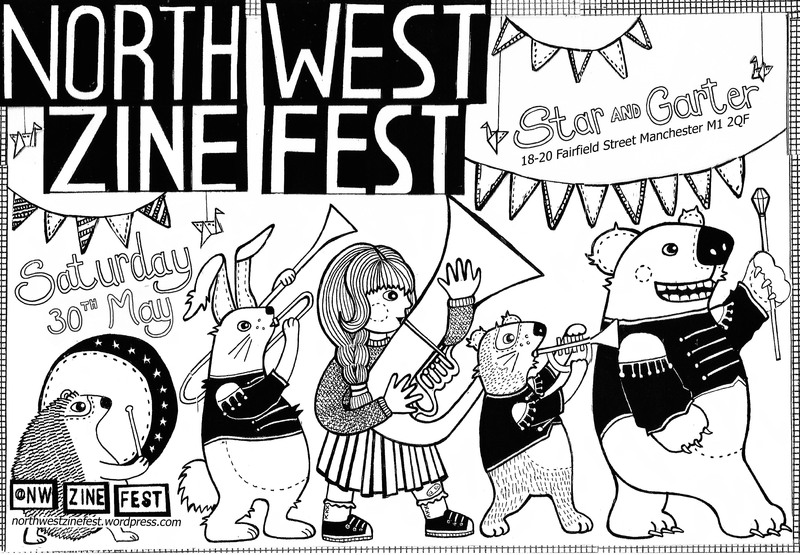 northwestzinefest | a zine fest in the Northwest! Northwest Zinefest 2018 is happening! After a year off, we are back! More details on the relevant tabs on this website. Workshops will be announced nearer the time. Over the next two weeks we are taking donations for pay it forward tables, please paypal any donation to salfordzinelibrary@gmail.com and you will help fund tables for marginalised makers to enable accessibility for them. Alternatively you can purchase a SZL badge here and all profits go this fund. We are seeking catering from a local, vegan supplier so do get in touch if you have any suggestions. Follow us on Twitter or Instagram if you like. You can also like our Facebook page for regular updates and say you are attending the event (or having a good think about doing so) there! Northwest Zinefest 2016 is happening! at: Islington Mill – Salford! Check out more specific info on stallholders, workshops and location using the other tabs on the website it’s now all updated for this year. As we want to keep this event super accessible, it is free entry! … but if you can afford to donate money on the day please consider it, we made a loss last year and we probably will again this year so donations make it easier to keep the zinefest happening. We will have yummy vegan catering by Sidney Street Cafe (usually based at the wonderful LGBT centre) and Islington Mill will have people who can sell you coffee/other beverages! Also please let us know you are coming (or thinking about it! )on Facebook if you do Facebook. Here is the event! Or if you like you can like our page! Northwest Zinefest 2015 is happening! Tell us you’re coming on the Facebook event, if that’s your kind of thing. Stalls and workshops will be announced very soon. Keep an eye on @nwzinefest for all the latest news!